At an official event earlier this week, Instagram announced the release of Instagram TV, a new tool for long-form video that’s poised to go head-to-head with YouTube for viewer attention. Here’s more about what it is, how it works and how to use Instagram TV in your real estate marketing. Should Real Estate Agents Start Using Instagram TV Instead of YouTube? 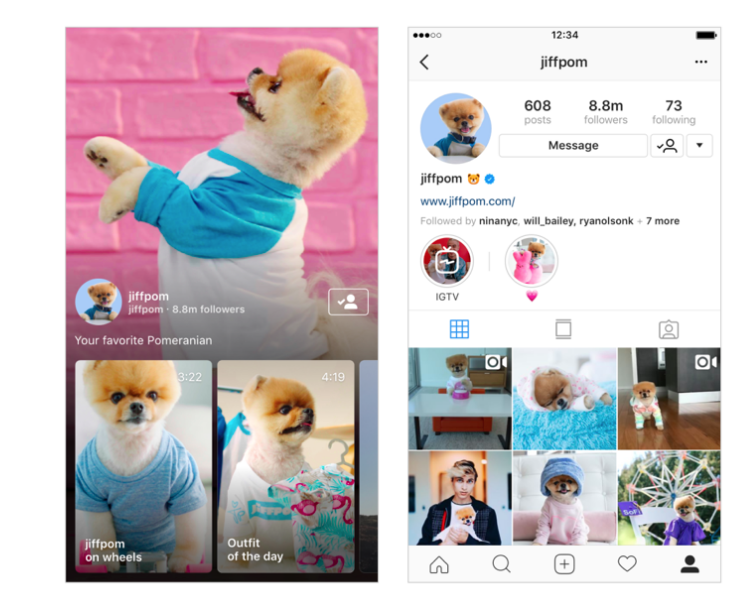 Instagram was very clear about what’s driving its decision to support long-form video – it’s trying to appeal to a younger generation of consumers who are increasingly watching video on mobile devices. As we explored in a recent blog post, young people are quickly dumping Facebook in particular, in favor of more visual media. Within the past few days, Instagram officially reached the 1 billion user mark. That’s stratospheric growth for a business that’s only been around since 2010, and a testament to how the public has embraced it. With growth like that, Instagram is definitely a platform you want to spend some of your branding and marketing efforts on, and Instagram TV provides a new way to do it. Time will tell, but as a real estate agent, if you’re already using Instagram for your business, you may find it easier to simply post most if not all of your videos there instead of on a separate app like YouTube. Just keep in mind that the vertical-only format may be different than you’re used to. What’s Different About Instagram TV? First of all, don’t confuse the new Instagram TV with Instagram Stories. Instagram Stories reside in little bubbles at the top of your feed, are limited to just 15 seconds and disappear after 24 hours. They’re meant to be short and sweet and are great for sharing casual experiences or tips. Due to their shorter length, Instagram Stories often required users to string together multiple recordings, causing them to cut off and appear jumpy. Not the best user experience. While you can currently post videos in your regular Instagram feed, they’re limited to 60 seconds. Instagram TV, however, allows for up to 10 minutes of video (60 minutes for larger accounts). You can also add clickable on-screen descriptions. At least for now, videos that you post to Instagram TV must be prerecorded, but Instagram product manager Ashley Yuki has said that live video is something the company will be looking at in the future. How Does Instagram TV Work? 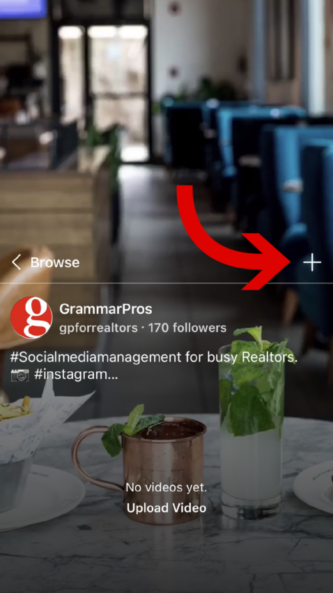 If you don’t already see the Instagram TV icon at the top of your feed, all you need to do is either update your Instagram app, or download the stand-alone IGTV app, which is currently available in the App Store and on Google Play. Tap the IGTV icon and a video will begin to play, with additional videos appearing as rectangular thumbnails at the bottom of the screen. Once you tap on one, it will switch the video to full-screen. First, take some time to explore this new tool. People are jumping on it fast, so you’ll no doubt find content from people you currently follow and more that you’ll want to follow. It’s easy to use and full of inspiration. Embrace the longer format for its ability to tell a story. Use it to create compelling content that people will want to watch and share. Instagram TV also allows users to send links to videos in a direct message on Instagram, so encourage people to share your content. If you’re producing interesting, valuable content, this will build your following and in turn, grow your real estate business. Instagram has announced Instagram TV, a new tool that allows users to post prerecorded, vertical videos of up to 10 minutes in length. It’s easy to use and a great way to create valuable content that will help grow your business. Take some time to explore it today and create a customized plan for using Instagram TV in your real estate marketing.